In a city that’s home to over 2 million people, you have ample opportunity to find a profitable business niche in Houston—but you first have to effectively connect with your target audience! If you’re struggling to get your name out there or are looking to expand brand awareness and boost profitability, start today with custom business signage from Hardman Signs. We’ve been professionally designing Houston business signs since 1987, and we know how to utilize graphic design, sign type, and geographic placement to maximum effect. From conventional and digital signage to interior and exterior signage, the experts at Hardman Signs bring more than 30 years of real-world experience to every project. We’ve created custom signs for local businesses, churches, schools, public offices, housing complexes, and more—always with a focus on maximizing the quality, ease, and ROI for our clients. Ready for More Effective Houston Business Signs? Get a Free Quote Now! 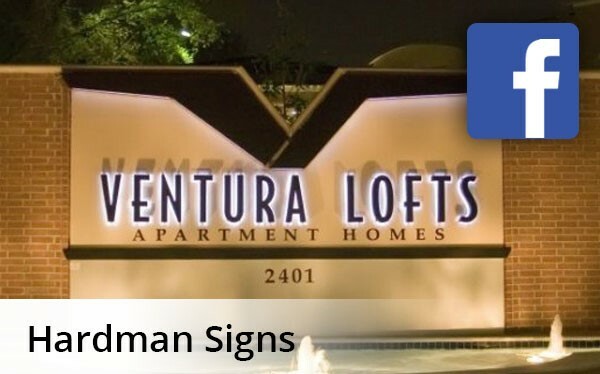 Give your company a sign that you can be proud of by calling Hardman Signs today. We’d love to show you why we’re the Houston sign company of choice for thousands of organizations and businesses across the city! Give us a call to speak with an interior or exterior signage specialist, or sign up for your free, no-pressure cost estimate by submitting our online form at any time.